Every time I eat Mexican food – to include tacos, burritos, or really anything where you get a choice of meat – I always pick carnitas. There’s just something about that crispy pork that is just so damn delicious. Add in some other fresh ingredients, cilantro and lime and I’m drooling everywhere 🙂 So I decided it was time to make a healthy version at home. 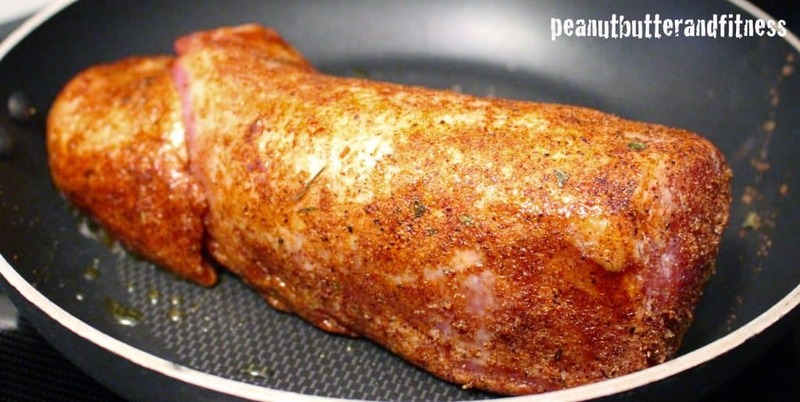 Instead of the more traditional pork shoulder, I used a leaner, healthier pork tenderloin. 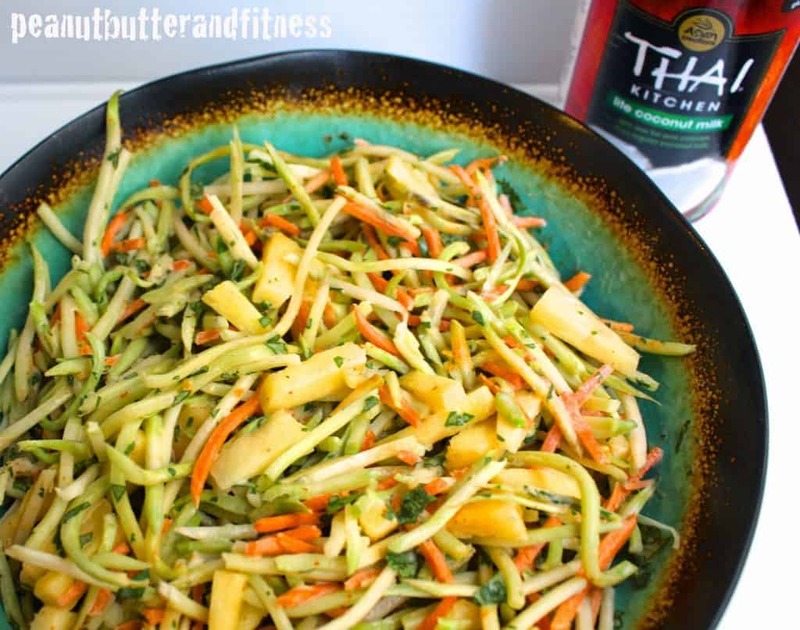 This is a fun, fresh slaw that has a guilt-free sauce thanks to some light coconut milk and sriracha sauce. 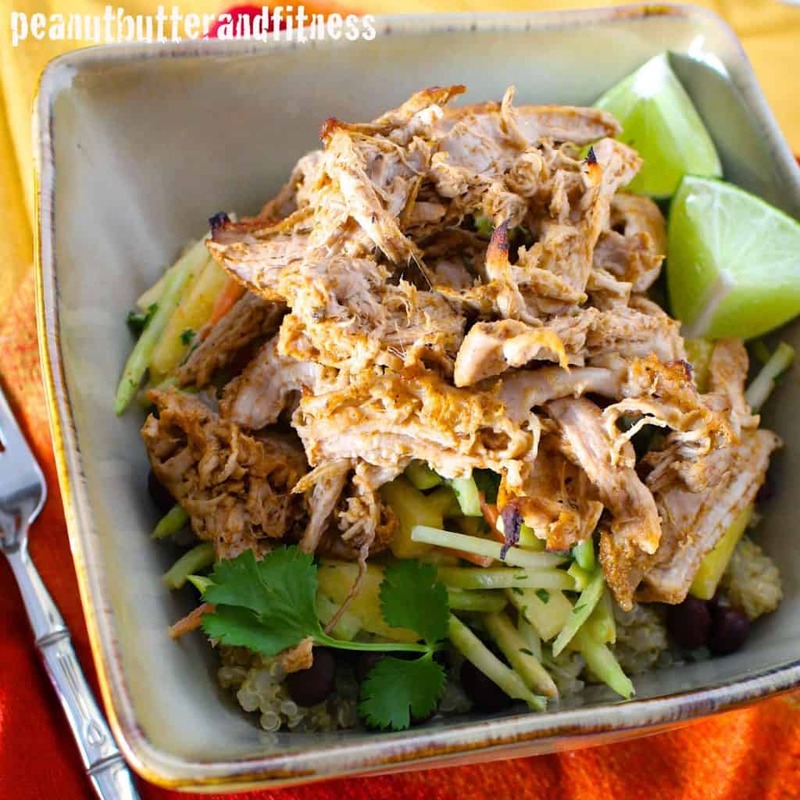 Pineapples go really well with pork, so it seemed natural for my slaw to include some juicy pineapples! After pulling the pork out of the slow cooker and shredding it with a couple of forks, I just spread it out on a baking sheet and broiled it until the edges got browned up and crispy! Yum. Remove any excess fat from pork loin. On a plate or large flat bottomed bowl, combine brown sugar blend, black pepper, Flavor God seasoning, chili powder and paprika. 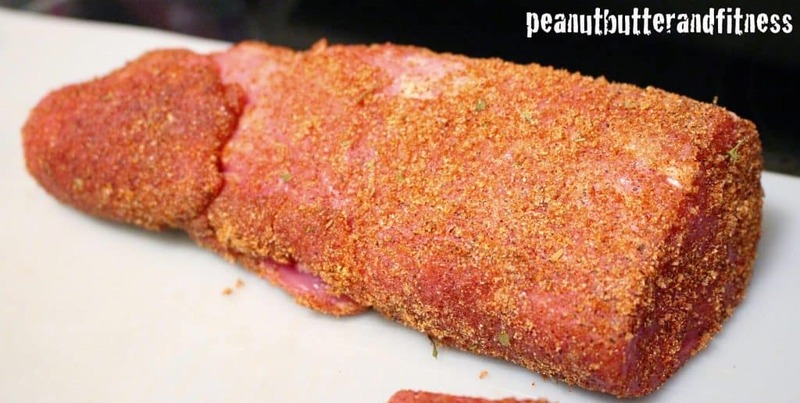 Roll pork loin in spices until coated evenly. 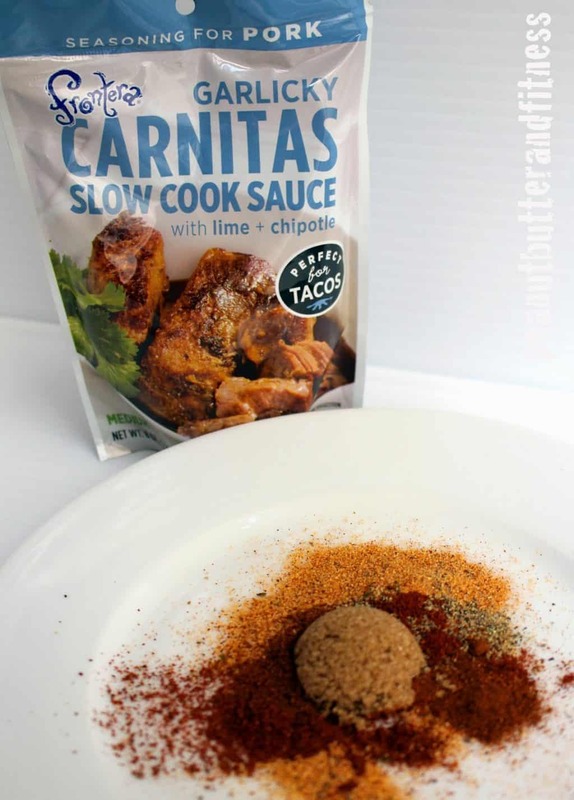 Add Carnitas Slow Cook Sauce and 3/4 cup water to slow cooker. Heat olive oil in a pan over medium-high heat. Add pork loin and lightly brown on all sides, about 1 minute per side. 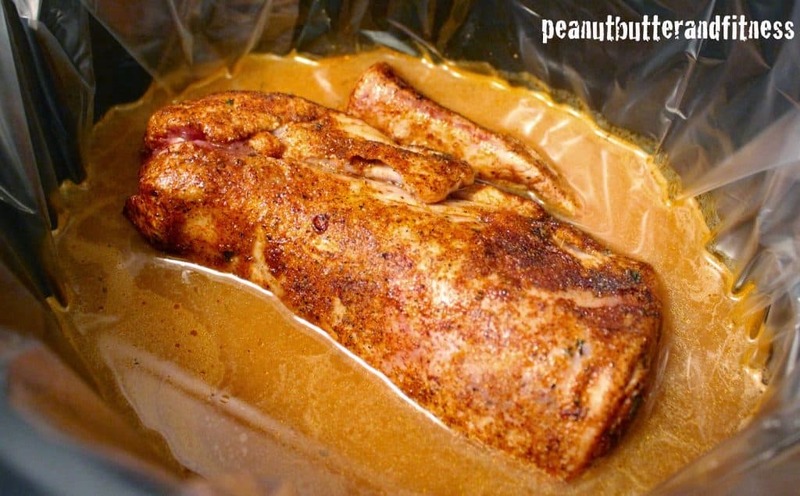 Place in slow cooker with sauce and spoon sauce over pork loin. Cook on low for about 3 hours or until internal temperature reaches 160 degrees. While pork is cooking, mix all pineapple broccoli slaw ingredients until evenly coated and set aside in refrigerator. 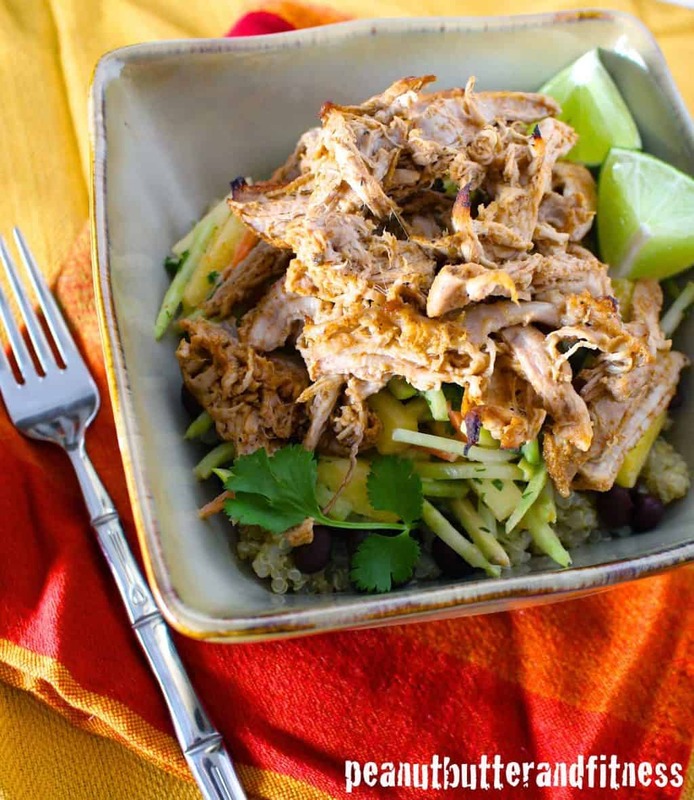 Cook quinoa according to package directions, then mix with lime juice and cilantro. Once pork is cooked, removed from slow cooker and allow to rest for 3 minutes. Shred with two forks and broil on high for 5-10 minutes or until edges begin to brown and crisp. 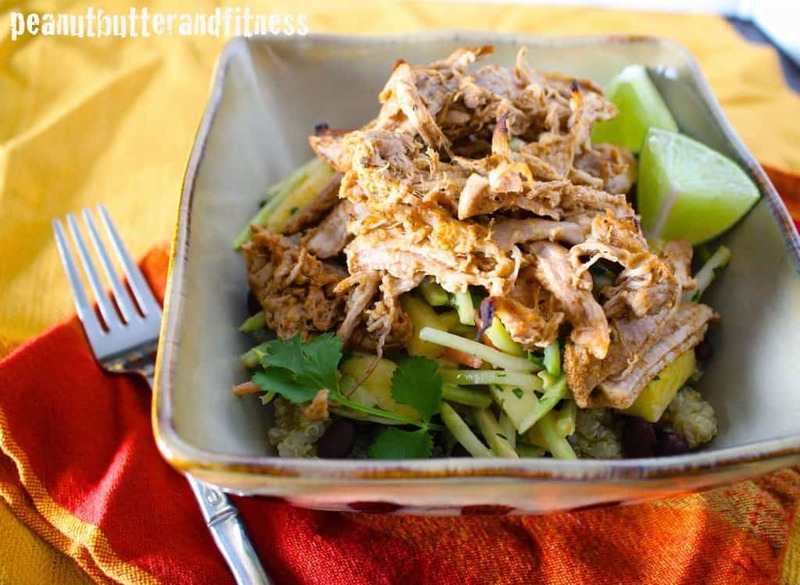 Layer quinoa, black beans and pineapple broccoli slaw in a bowl. Top with pork and serve. 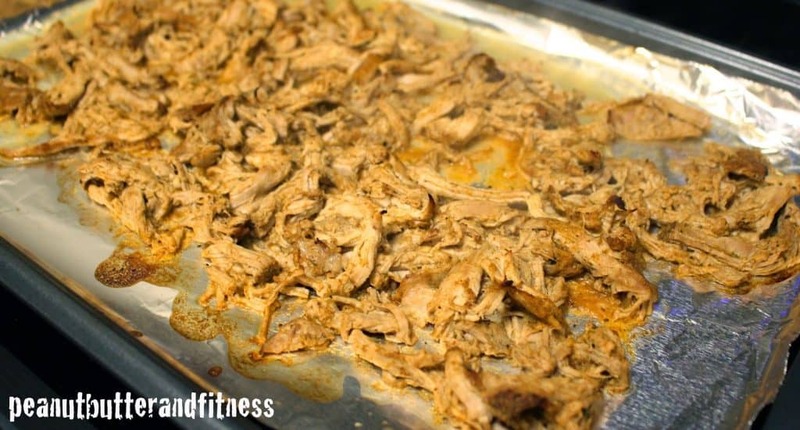 Slightly browned pork – this helps keep the moisture in while it’s slow cooking. I turned the pork about once an hour to keep the juices on it.